We have just hung this gorgeous mirrored canvas by local artist Liesha Yazicilar at a client’s house. 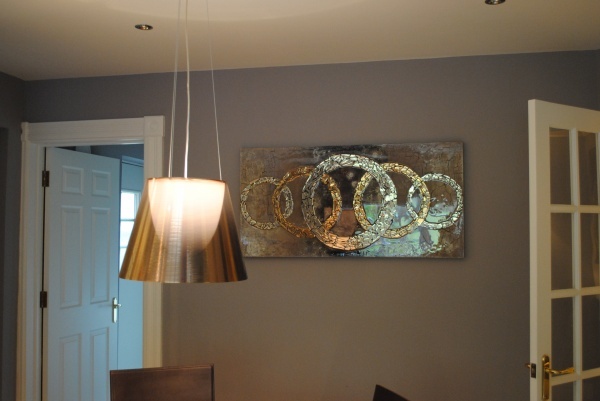 It was commissioned to meet the client’s requirements with the colours of the room incorporated in the artwork. See Liesha’s pinterest board for more artwork in this range.